It is that time of the year again as WWE 2K19 is now in our hands. I got a review copy of the PS4 version of the game a few weeks ago, and now it is time for me to share my thoughts on this year’s installment of the game. The cover star this year is the current WWE Champion AJ Styles as this year alone, he has proven to be “the face that runs the place” on the Smackdown brand. If you were to ask me 10 years ago when he was still wrestling for TNA if he would be on the cover, I would have said “not in a million years” but it happened this year as he is the MVP of Smackdown. 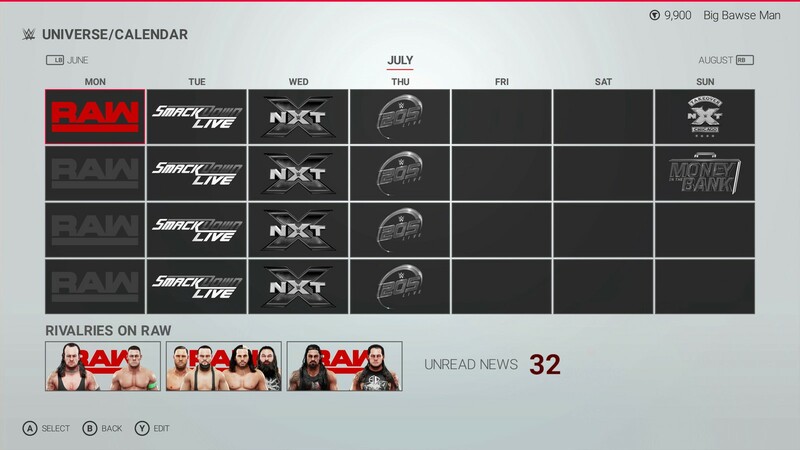 The roster this year is almost the same as last year with new additions to the 200 playable character roster such as The Undisputed Era (Adam Cole, Kyle O’ Riley, and Bobby Fish), Andrade “Cien” Almas, The AOP, Bianca Belair, Riccochet, EC3, Tyler Bate, Pete Dunn, Lio Rush, Ronda Rousey, and Velveteen Dream. You can mix and match the current stars of today and from previous years in many matches to your desire. With the stacked roster this high, there is no reason for Tommaso Ciampa to be cut from the in game roster this year especially since he is the current NXT Champion. This year, we got the return of 2K Showcase which was missing from the last two entries. 2K Showcase tells the story of the rise of Daniel Bryan in WWE. In between the matches, we are shown a video package along with narration of Daniel Bryan himself setting up what was going on storyline wise at the time before the match loaded up. It begins way back to his match with John Cena at Velocity from early 2003, all the way to his Wrestlemania return match from this year teaming with Shane McMahon going against Kevin Owens and Sami Zayn. All of those matches were great to play and I would have wished that we would have gotten to revisit the CM Punk/Daniel Bryan/Aj Lee love triangle and matches from 2012 but I understood why they could not do it. My only other gripe with this mode is that many of the matches can last up to 30 minutes due to the objectives that you have to do during the match. For the first time, MyCareer mode plays like a WWE storymode from the past games. You start off in an independent promotion and then work your way up to the WWE Performance Center and from there, it is NXT and then the main roster of Raw and Smackdown. I love that this time, the WWE Superstars and even your own character is voice acted during the scenes. In fact, the scenes with “Woken” Matt Hardy during this mode is quite funny but you will have to see that for yourself. The learning curve during this mode can be frustrating at times due to you starting with a very low set of moves and abilities and most of them you will have to unlock via randomized lootcrates and even those are very expensive when you purchase them by in game currency so it is good that there are no paid micro-transactions, but this system needs to go in the next game for good. The gameplay is much more solid than the last two entries as I rarely encountered glitches or bugs even when there were 8 men in the ring during a Ladder Match. The Cage Match has been reworked so you can escape easier along with fighting on the top edge of the cage. I wanted this feature for many years since it adds more drama to the match itself. The custom match creator this year can be saved in the option that you create it even in Universe Mode. The lightning and the entrances are on point and the presentation looks like if you are watching it on TV. The commentary has improved a slight bit, but at times I can hear repeated words during matches. Speaking of Universe Mode, this year, you can finally assign managers to any superstar on your Universe Mode roster. You can also have up to 6 championships per show now which is great news for anyone that wants to have two mid-card championships on each show. On this mode now as well is the ability to choose who will be the Money In The Bank holder and which championship that either he or she will target. I wanted this feature way back in Smackdown vs Raw 2011 and it is great to finally see it being used in this game. Also, you can finally pick who wins simulated matches in case if you do not want to play the match and that lifted a huge weight off my shoulder. 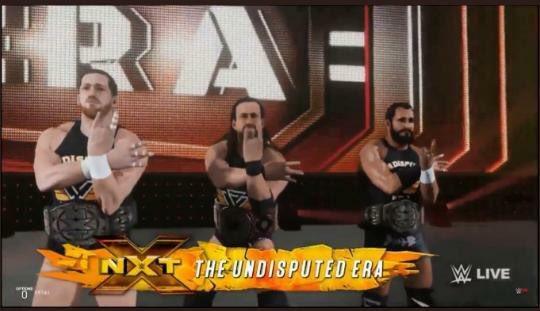 Universe Mode always needed adjustments since it was first introduced 8 years ago, but I felt that this year the developers made more effort to tweak it than any other game. 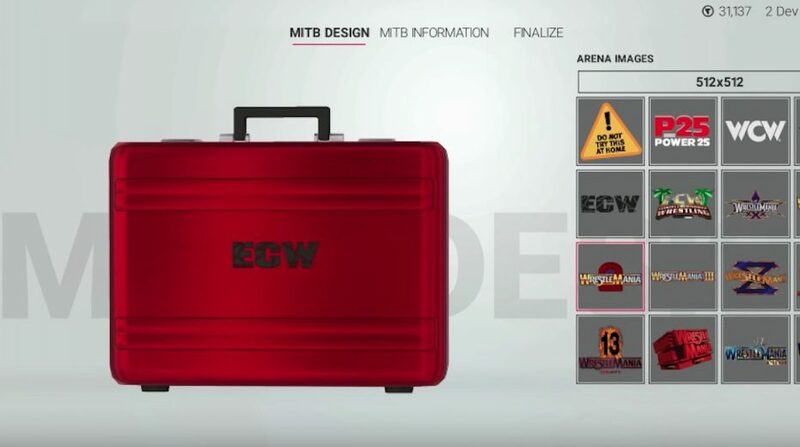 The Creation Suite’s features can have you there for hours doing customized things such as Create A Superstar, Arena, and Entrance but also for the first time this year, you can create a MITB briefcase with your own design as you please and use it on Universe Mode. You can also create block versions of WWE superstars or your own characters as well. There is also an towers mode where you can face different superstars in different match situations. It starts off easy, but it gets hard with each match that progresses. It is like WWE’s version of Mortal Kombat or Street Fighter with their towers mode. This year’s game has been a massive improvement from the last two games. 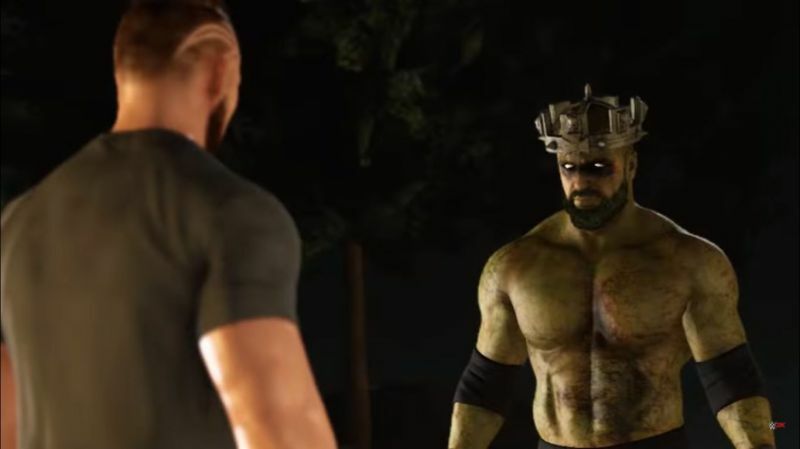 The last overall game that I loved was WWE 2k14 and every year since then, it has not matched up to how fun a WWE video game is supposed to be and I can say that the fun factor has returned in this game. It is so fun, that they even added (by Xavior Wood’s request) a big head mode. I have not used this yet, but I know it was added in for nostalgia of silliness of 90’s games. Despite the hard learning curve of MyCareer mode and their lootcrate system, I fully recommend this game to pick up.